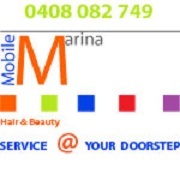 Marina is dedicated to customer satisfaction and quality service. Training as a 16 year old in the City to a top Adelaide Salon. Marina won awards in Cutting, Coloring, Styling, Blow Waving and Futuristic Styling for over a decade. Marina traveled Australia in competitions for over a decade and won over 50 personal awards both State and National and was asked to represent Australia in the World Styling Championships. Marina also designed and made her own costumes which also included creating the make up for her models. A premier skin and body clinic in Adelaides Eastern suburbs, we pride ourselves in fantastic service, quality treatments and reasonable prices. Book today and notice the difference!